One of the first pollen sources for foraging honey bees, I love and appreciate the dandelion. When I see my girls out gathering and stopping by the dandelions, returning to the hive legs loaded with pollen like 2 saddle bags, I know all is right in the world. For spring has sprung and we shall be saved from the dark days of winter with dandelion, honey bees, and sunshine. I am the person who encourages dandelions. The hallmark of a great lawn to me is an abundant supply of this “residential nuisance.” While my neighbors work hard to rid their lawns of dandelions, Sweet Baby and I are out crawling our lawn, picking blossoms, greens, and roots– A sight to see I’m sure, me picking dandelions and she stuffing dead leaves and grass clippings in her mouth. We wildcraft in our own yard, and are happier because of it. Call me crazy, but I don’t see a weed, I see a medicinal food source. 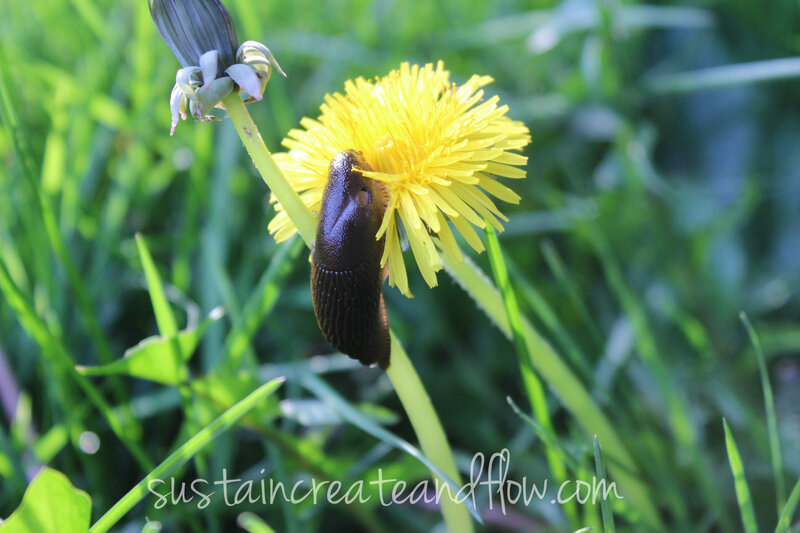 Dandelion, Taraxacum officinale, has long been used as a food source and as a medicine. Salads are made with the greens, a coffee substitute with the roots, and wine from the blossoms, the whole entire plant is edible. A staple for greens in a family’s diet during the Great Depression, this abundant ‘weed’ has proved to be most useful. A wildly successful self-seeder, the prolific dandelion can be found in Europe, Asia and the Americas. Dandelion leaves are abundant in vitamins and minerals, and are a good source of vitamins A, C and K, along with calcium, potassium, iron, copper and manganese. What is not to love about them? Medicinally, they can be used for cleansing of the blood and liver, and can be used as a general tonic to cleanse and strengthen to gallbladder, pancreas, spleen, stomach and intestines. It has been used to treat hepatitis and cirrhosis, skin problems and gall stones, and many other ailments. Dandelion tea has been known to improve digestion, eliminate fatigue, assist in treatment of diabetes and low blood sugar, as well as helping to lower cholesterol. 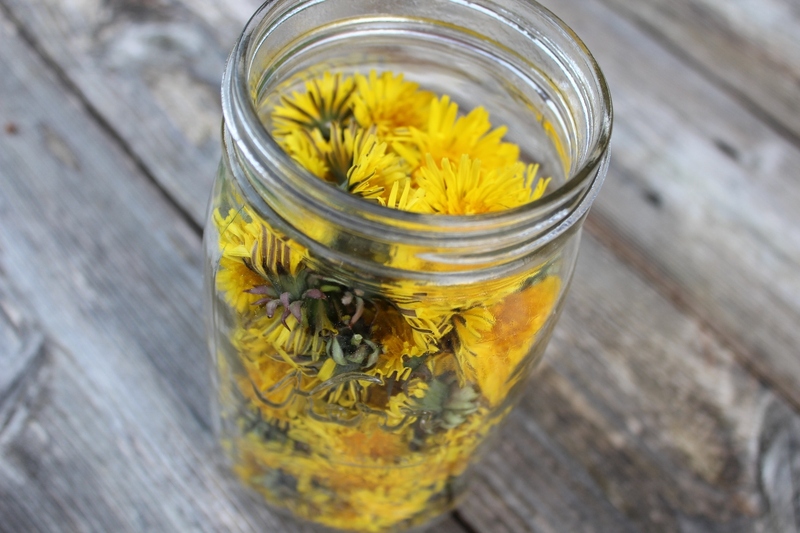 I like to make dandelion-infused vinegar to have the healing benefits of dandelion at the ready for cooking, kitchen cosmetics and medicine making. 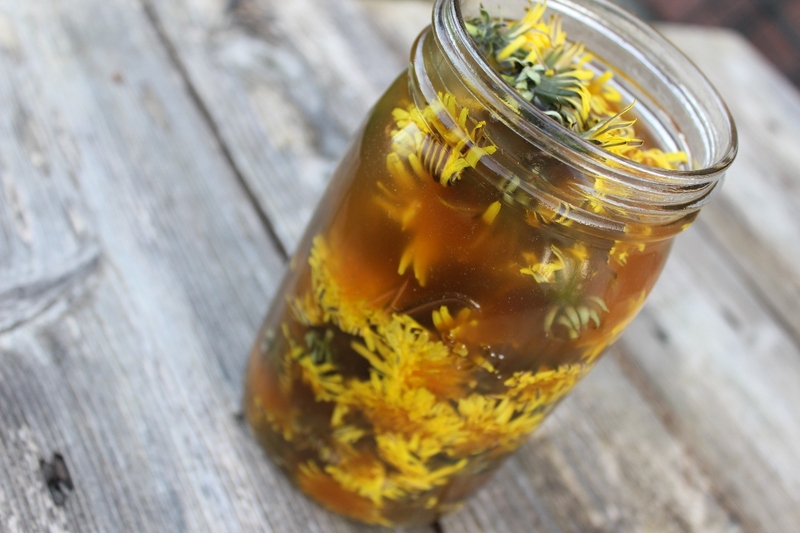 Making dandelion vinegar is simple, and I use the solar infusion method, the same way I infuse my oils. I first gather my blossoms, enough to fill whatever jar I am working with. *Note* I only gather from trusted sources. I do not spray my lawn with any chemicals and I have an abundance of dandelion so I gather happily. I would be leery gathering from a park or other manicured lawn because it’s a sure bet there will be chemical sprays used. Use caution! I cap with a plastic mason jar lid (because the acid of the vinegar corrodes the metal ring and lid), and place in a sunny window. It is generally not sunny where I live, so I am more likely to place the infusion on the counter in the kitchen where I will remember to shake it once per day, for 6-8 weeks. It’s also slug season… which means I am about to wage war! What do you make from dandelion? Or are you new to them and ready to pillage you and your neighbor’s lawns? The conversation continues on facebook. I’d love to be your friend! So many of my friends think I am crazy for using dandelions. I also use violet leaves, sweetgrass and plantain in my salads. Nothing is better than what Mother Nature provides. Those same people think nothing of going to the grocery and buying chemically ladened produce. They are also the ones who get sick all the time! Plantain is good medicine for stings and bites, too. I dried a bunch of them last year & am waiting for inspiration to make something with them. Not sure how to use them…. Infuse the plaintain in oil and make a salve from it. It’s really easy 🙂 There are easy tutorials on my blog. Good thinking drying the plaintain, did you grow it? I wish I had some now. That is one of my my next projects, a salve with plaintain. Yes, it grows all over the place. (My yard is not sprayed; we’ve lived here over 20 years.) I also need to look into gathering the chickweed which is all over my yard. It is now in flower, which I think means the leaves are past the peak for gathering. But chickweed is nice anti-itch. Thanks, I look forward to reading more of your posts! Hi, I have not heard of plantain, violet leaves and sweet grass. Maybe in Australia we use a different name for these plants. But it sounds so exciting. I would love to learn more about picking my own food rather than buying food which has been legally poisoned. I love this post…I hope you will be pleased to know that you are this weeks Tasty Tuesday recipe feature at Dandelion House! thank you for sharing your wild knowledge with our readers! We just started gathering dandelions, ate some last night at dinner in fact. I’m really sorry now that I didn’t keep the blossoms. 🙁 I’ll have to try the vinegar. I love dandelions! I eat the leaves fresh in salad or steamed (even on pizza!). I make fritters out of the flowers. I dig up the roots, clean and roast them and use as a coffee stretcher. It tastes delicious (although not exactly like coffee) and is free! I love all of your dandelion ideas! Can you share how you make fritters from the blossoms? I want to do that! I’ve tried eating dandelion greens before and they were too bitter for me. Is there any way to prepare them that will decrease the bitterness? Thanks for your help — i love all your posts – they are so helpful! 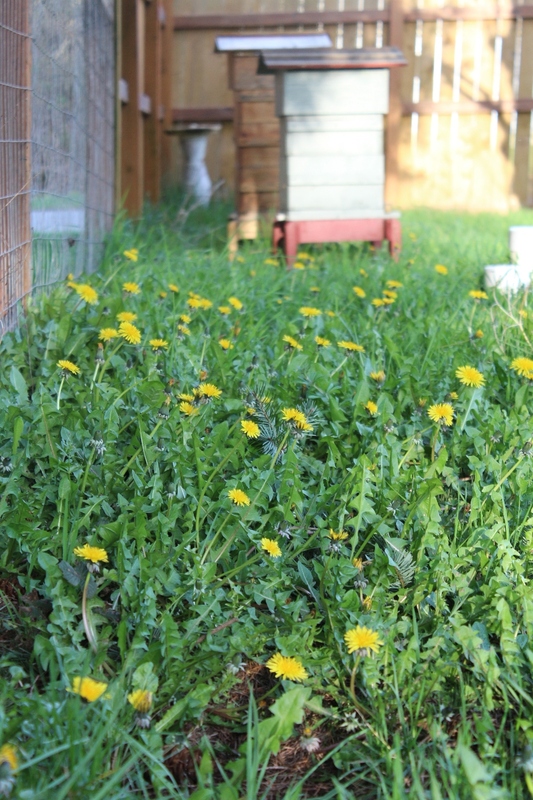 Pingback: Your Green Resource – Week 80 – Featuring: Dandelions! I know there is a lot of benefits to dandelion tea, I wonder if it’s easy to make. It doesn’t taste the greatest though! You’re welcome! :) There is also an alternative to this: if having just 250-300 flowers, reduce water to 1 liter; the rest of the procedure is the same. Or the “quick” way: simmer flowers and lemons for 45 minutes, strain, then add sugar into the liquid and continue cooking for 1-1.5 hours. It is delicious! What a very interesting article. I didn’t know about all of the health benefits of dandelions. My MIL has liver issues and I am wondering if she should try this tea! Thank you for sharing this at the In and Out of the Kitchen link party. I really think it is great! Great post. I saw it just now on Frugal Days. 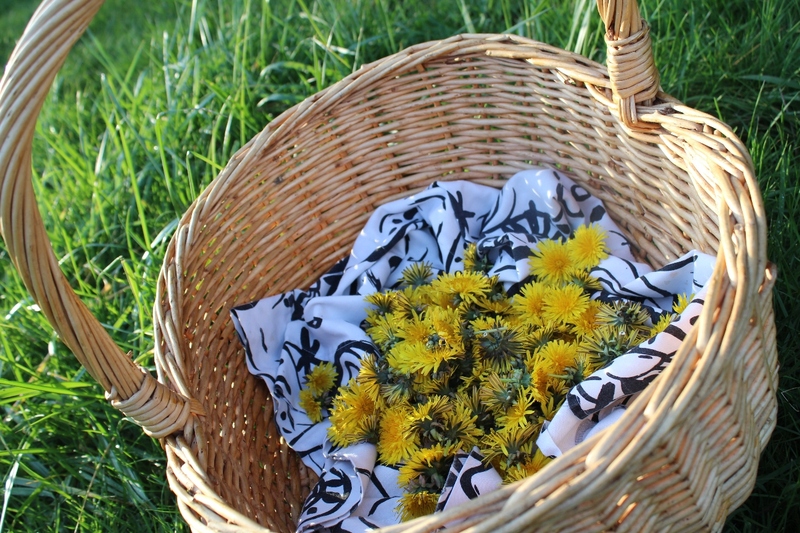 My son and I gathered fresh dandelions for a salad a few days ago. We also gathered chickweed,, wood sorrel, and plantain. It was a good salad! Thanks for linking up at Wildcrafting Wednesday! What a lovely article, with beautiful pictures and imaginative ideas for using what too many people call a weed. It’s bright yellow, prolific, and scatters through the meadow like daffodils — when will we call it a flower? 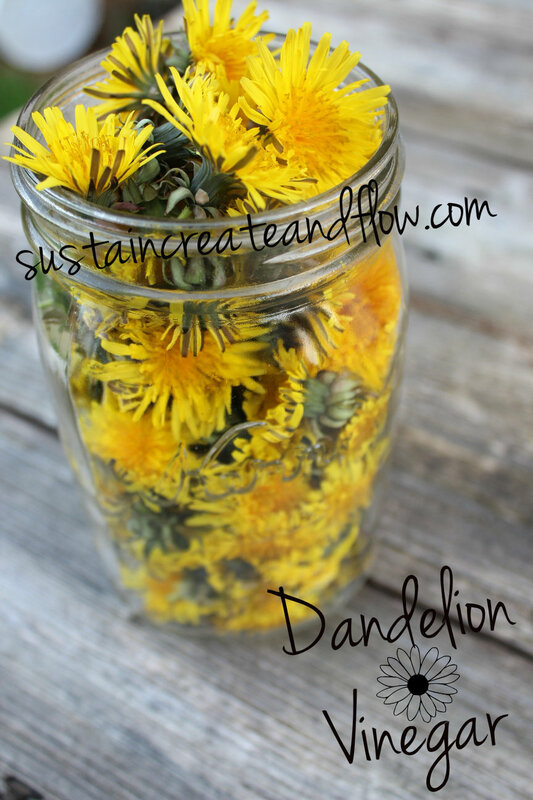 this post inspired me to make an oil infusion with dandelions. my infusion has been in the jar for 3 weeks now. i don’t know if looks right. the dandelions are dark and were when i let them wilt. so i am worried that is not good. If it doesn’t have a rancid smell, it should be fine. It sounds like you fresh wilted them before you put them in oil, so that would make them change color a bit. When I infuse oils they usually take on color from the plant material. My guess is you are fine. If it has mold or smells bad, toss it out. Hello! I don’t have dandelion growing here (I know, can you believe it?) but I have a TON dried. Would this recipe translate with the dried herb? If so, what quantities should I use? Thank you! Can you freeze the flowers for winter use in salads ?